No Limit City may not have spent much time coming up with a clever name here, but they did come up with a decent game. It would appear that things are turning round for No Limit City. Early releases just weren’t up to much. It seems that something has triggered a bit of a change in their game concept and design process and they’re putting out games that people really want to play. The slot has a 5×3 reel 20-line setup. You’d be forgiven for not being able to gauge the volatility of this from the look and feel. It actually has quite a lot of potential. The base game is decent, standard reel sets and pay table. It’s not dull, it will keep you playing for a while regardless of the bonuses hitting. 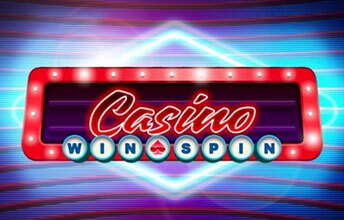 The Casino Win Spins bonus. Two windows landing the same symbol in them triggers bonus re-spins. Unusually you really don’t want to win from these. 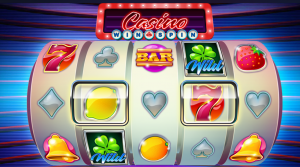 The second non-winning spin will bring a multiplier. The third creates a Wild on the centre reel that radiates outwards. Get all three in place and you can land some really nice wins. Take a look at our stream video – two very decent wins within a few spins and a 1000x profit. We’ve played it a few times since the winning run, and not just because of the win either. This is a fun game that strikes a very nice balance between the instant accessibility and volatility of the likes of Merkur and more modern slots. Keep it up No Limit City! We’ll be coming back to this on our daily slots streaming sessions for sure. You can join us on either of the below Streams from 2pm every weekday!